With its future-oriented electric motors in the wheel hubs, the Lohner-Porsche was acknowledged as the absolute sensation at the Paris World Fair in 1900. On loan from the Technical Museum in Vienna, Austria, this outstanding achievement in technology protected today as a universal monument will be seen the first time outside of Europe at the 2007 LA Auto Show. It was this vehicle, Ferdinand Porsche’s first major project completed at the time without layshafts and without a transmission that gave the 24-year-old automobile genius his breakthrough as a pioneer in the history of the automobile. Shortly thereafter Ferdinand Porsche added a combustion engine providing power for the electric generator to the electric drive system with two internal-pole motors in the front wheels. 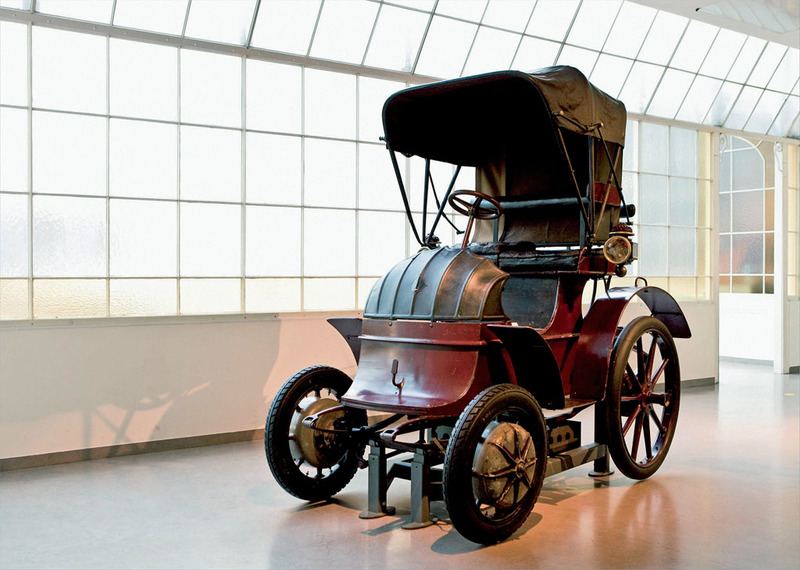 This made Porsche’s hybrid drive ready for production and created a unique highlight at the Paris Auto Show in 1901. The Lohner-Porsche Electric Voiturette System built in 1900. Chassis and body made of wood. One internal-pole motor on each of the front-wheel hubs, output per motor 2.5/3.5 hp, with short bursts of 7 hp. Forty-four cell 80-volt lead battery. Period of use approx. three hours, top speed approx. 28 – 36 mph. Overall weight 2,160 lb.